The best thing about going Gaga for Halloween is the variety of possibilities. Lady Gaga's wardrobe is vast and colorful: the Meat Dress, her trippy Anime Eyes, the scantily clad Caution Tape look, the Soda Can Hair Rollers, the light up Gothic Crown, the Cigarette Smoking Glasses, and, of course, the classic Hair Bow from Poker Face. It's my personal favorite, and the following illustration is easy to follow. 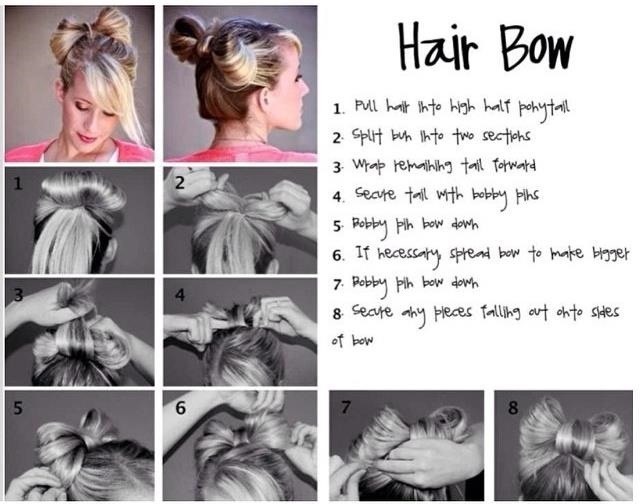 If you don't feel like messing with your own hair and have a wig around the house, second-hand store Savers' free tutorial below is also very simple. 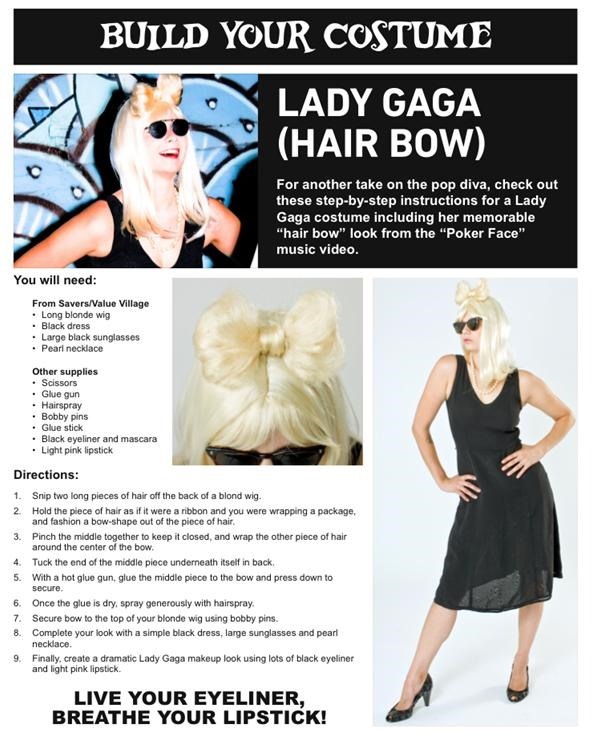 If you prefer a video guide, peruse the gallery below for 5 additional Gaga Bow video tutorials.